Item as described! Great seller, I will patronise again. Thanks. 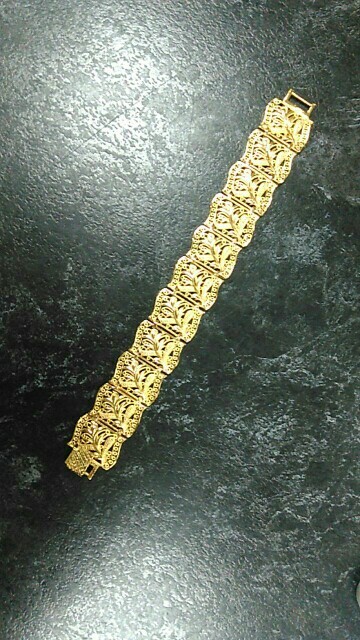 Nice bracelet, similar to gold, although the bracelet bends not very good and very tight clasp, I did not immediately able to open it, in general view from the bracelet cute, but if the store of buying I would not buy. Custom traced, neatly packaged, arrived quickly, the seller sociable, put 5 stars. Came to pupyrchatoy cellophane, inside was a velvet cheholchik for the bracelet. a little twisted during the trip but I hand gently straightened it. the bracelet looks like Egyptian gold. pretty neat. Excellent and product! It's very sturdy and looks great too! 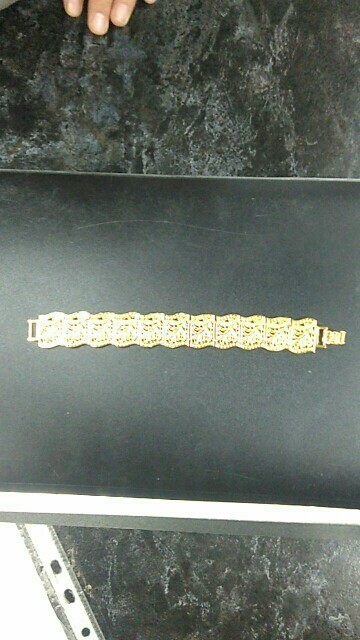 Bracelet was delivered within 2 weeks. product quality is Genuine admiration and craftsmanship manufacturer. very happy with the order. I will keep buying offered by this seller and highly recommend it to all buyers. Looks great I think she will love it !!! 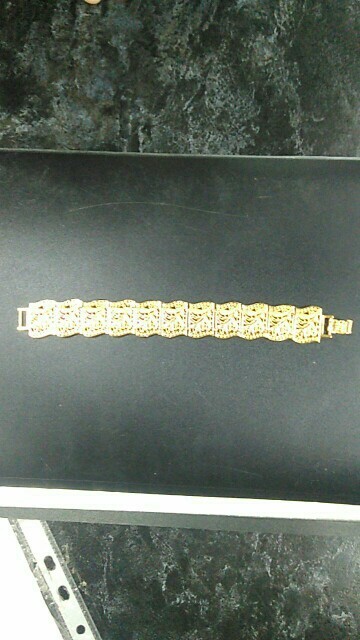 Very beautiful bracelet sent quickly. fast delivery. good job seller.